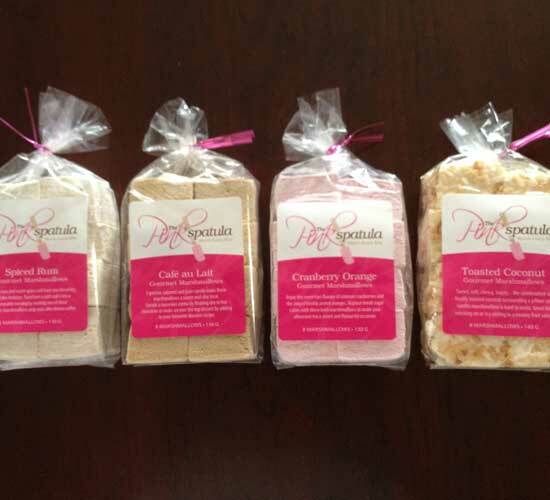 Gourmet marshmallows are one of the hottest food trends in 2012. They're fun and nostalgic, with no shortage of incredible flavours (toasted coconut, chai and cinnamon maple just to name a few!). 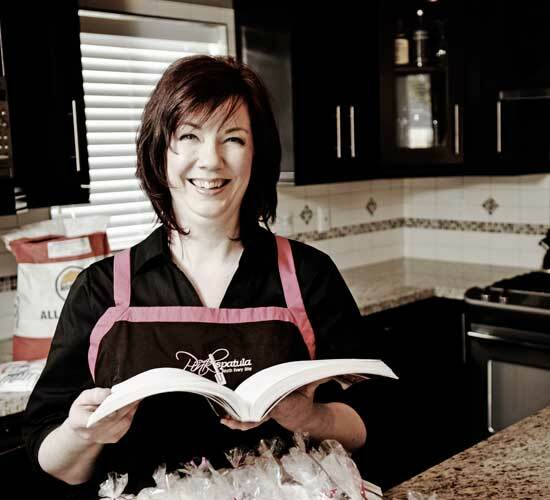 Tina Bacon is the creative mind behind The Pink Spatula, located in Mission, B.C. 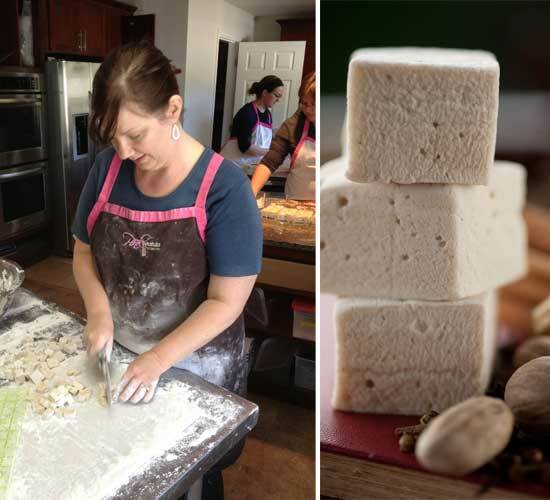 Gourmet marshmallows are one of the hottest food trends in 2012. They're fun and nostalgic, with no shortage of incredible flavours (toasted coconut, chai and cinnamon maple just to name a few!). Tina Bacon is the creative mind behind The Pink Spatula, located in Mission, B.C. Her inspiration of tantalizing flavours is endless as she carves out a reputation for these new must-have trendy treats. How did your love of baking begin? I have been baking for almost as long as I can remember. It started with a second hand Easy Bake oven that my parents gave me for Christmas one year and I've never stopped. Baking is my creative outlet and I find it very relaxing. I'm always practicing and trying to improve my technique. 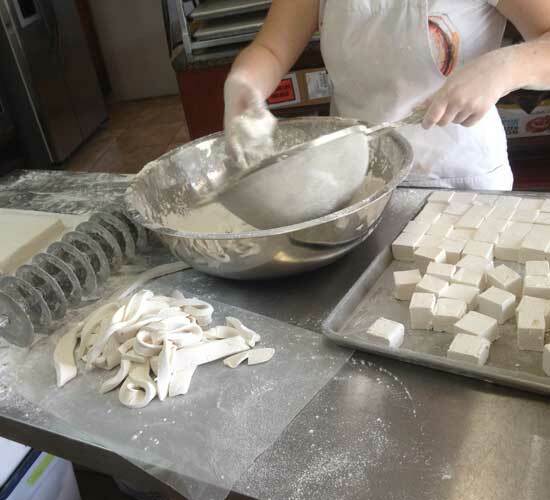 Where did you first discover gourmet marshmallows? The first ones I ever tried were made by me! I was following a marshmallow thread on www.egullet.org and started playing around with a recipe that some of the members were trying. 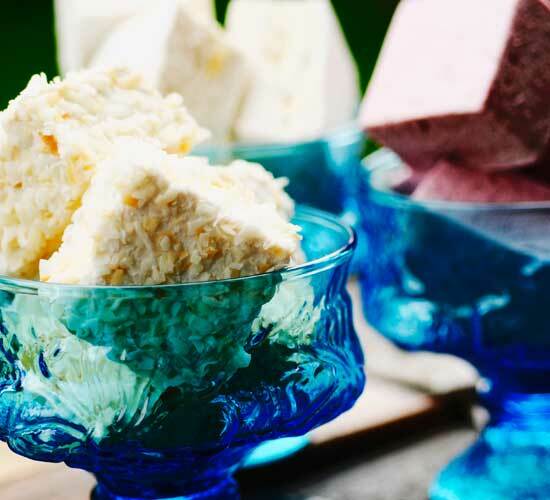 They were fun to make and I loved that marshmallows could be made with pureed fruit rather than bottled flavourings. What led you to pursue this as a business instead of just a hobby? I went back to work part-time after the birth of our twin daughters and a year and a half later the company I'd been with for 16 years asked me to work full time or not at all; I chose not at all. It wasn't worth the stress and minimal increase in income. While trying to figure out what was next some friends who were opening a coffee shop asked if I would bake for them. The coffee shop only operated for a few months, but it gave me a opportunity to discover that I loved baking enough to move it from a hobby to a business. However it wasn't until after a life-threatening illness in 2006 that I finally took the leap in late 2008. With my husband's support, I made the choice to pursue a career that I love and am passionate about rather than just having a job to pays the bills. Do you have plans to introduce new marshmallow flavours? 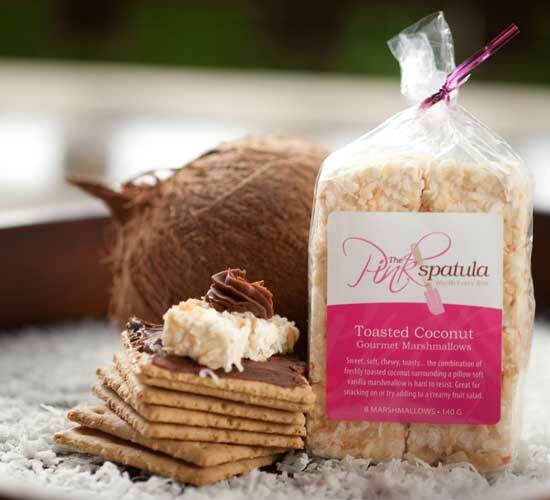 Toasted Coconut is by far the most popular flavour so we make it year-round, but our other flavours are seasonal. We change them in February, June and October. I'm always evaluating the response to my flavours in anticipation of adding new year-round offerings. Our new flavours are inspired by the coming season. We start with fruit that will be in season, or scents or spices that remind us of holidays, like rich, dark chocolate for Valentine's Day. I love asking our fans on Facebook and Twitter for their input -- and often they will give us some excellent ideas! We also collaborate with our retailers to see what they think their customers will love. Once we have a list of the flavour ideas, we begin testing. 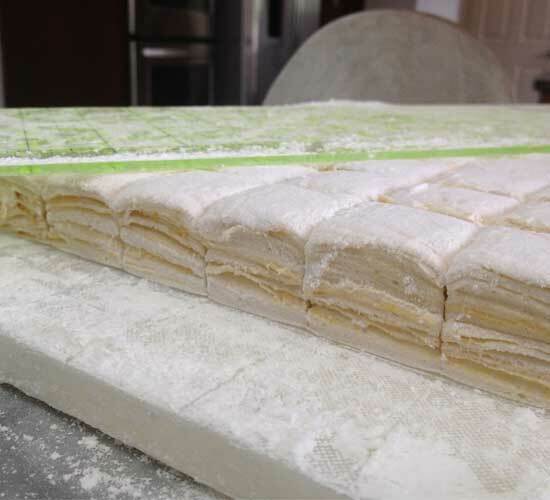 Sometimes the recipe comes very easily, but other times it can take many, many tries until we arrive at the best flavour. Our most challenging flavour this season was Cranberry Orange. I didn't realize the natural pectin in cranberries would present a problem, but the flavour was just too delicious to give up on so we kept working on it until we got it right. What is your proudest moment since the launch of The Pink Spatula? There are a few! The first time that someone paid for something I had made, being featured in an article in Maclean's magazine this June, and winning the Mission Chamber of Commerce Business Excellence Award for Best Home Based Business this October are my stand out memories. Tell us an interesting fact or personal memory about the business that people might not know. I started my business in the back of a local tea shop. I felt like the pastry fairy because I would arrive after they closed and when they opened in the morning all the lovely sweets I had made would be waiting for them. What challenges do independent food producers face? You have to do everything yourself, and for those of us without a business or marketing background the learning curve is HUGE. The higher costs associated with producing an excellent small batch product. Everything from quality ingredients to packaging, labour, and consulting costs more because we aren't able to effectively apply economies of scale. A small-batch producer generally doesn't have the storage space to buy large enough quantities to get good discounts. What can always be found in your shopping basket? The basics... milk, bananas and Cheerios. I'm the mom of three elementary-aged children. Next to the basics, good quality canned tomatoes, produce from the local farm market, unsalted butter. 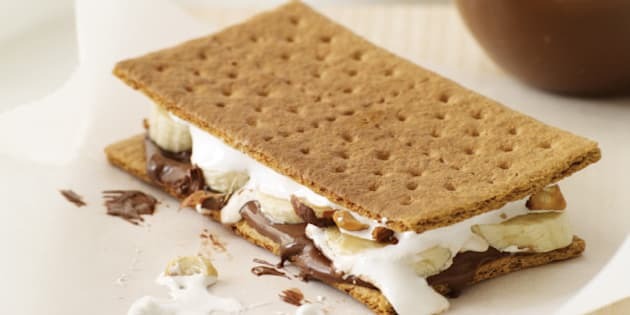 Three fun ways to use your marshmallows? On skewers with fruit to dip in a chocolate fountain, cut into quarters to replace sugar cubes in your tea, melted on top of twice-baked sweet potatoes. Three words to describe The Pink Spatula? Tina shares one of her favourite holiday recipes for Salted Caramel Cookie Cups -- enjoy! Measure butter and sugars into a large bowl and cream with a wooden spoon until smooth but not over-mixed. Add egg, vanilla and salt and stir just until fully combined. Sift in flour, baking soda, baking powder and again, stir just until combined. Scoop even-sized balls into mini muffin pans, about 1 tbsp each. Press down the center with your finger. Bake until golden, about 13 minutes. Time really depends on the size of your cookie cups so be attentive to smell and check them. If they aren't done, bake another minute or two. Remove from oven and let set a couple minutes before tapping them out and transferring to a rack to cool completely. You can store them airtight for up to four days, although I prefer to store them in the freezer to keep them at their best. In a heavy medium saucepan, bring the brown sugar, cream, butter, corn syrup, and salt to a boil over medium-high heat, stirring until all the ingredients are melted and smooth. Brush any sugar still clinging to the side of the pot with cold water and a high-heat pastry brush. Let the mixture continue to boil, without stirring, until a candy thermometer registers 240°F, about six more minutes. Turn off the heat and immediately (but carefully) transfer to a heat proof liquid measure. Pour the caramel into the cookie cups. Let them cool completely, about two hours, before topping with a few grains of fleur de sel and/or a drizzle of chocolate.